Due to the success of last year’s Times Tables Club, I am pleased to announce that we will be running the scheme again this year. The Times Tables Club is a scheme that takes place once a week in Maths lessons across Key Stage 2. The scheme consists of a variety of challenges that tests pupils on their mental maths skills – in particular, their times tables knowledge. Pupils are given five minutes to complete the club that they are on. The name of the club refers to how many questions can be found within it. For example, if a pupil is on the 40 Club, they will have five minutes to answer forty questions. When pupils begin Year 3, they all start on the 10 Club. When they correctly answer all ten questions within the five minute time limit, they are able to move on to the 20 Club. This process repeats all the way to the 110 Club. Pupils receive a certificate every time they complete their club which is theirs to take home and display proudly! Also, near the entrance of our school, there will be a display board that will be devoted to Times Tables Club and will celebrate pupils who have achieved their certificates! A solid grasp of the times tables is key to being successful in Maths, particularly in Upper Key Stage 2 when we explore more challenging areas of the curriculum. Furthermore, the National Curriculum expects all pupils to recall multiplication and division facts for times tables up to 12 x 12 by the end of Year 4. The aim of the Times Tables Club is to motivate pupils towards that goal in a fun and rewarding manner. Additionally, the higher clubs will challenge our pupils on areas including fractions, decimals, percentages and algebra. Please scroll down to find more information about what you can expect for find in each of the Clubs as well as links to websites, games and apps that will help your child practise their times tables. I look forward to seeing pupils being proud of earning certificates whilst improving their times tables knowledge in the process. Remember: regular practice is key! 10 Club – multiplication and division facts for 2, 5 and 10 times tables. 20 Club – multiplication and division facts for the 4 times table. 30 Club – multiplication and division facts for the 3 and 6 times tables. 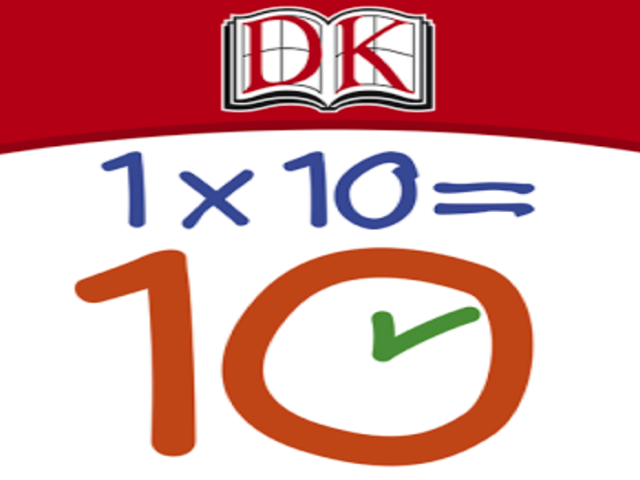 40 Club – multiplication and division facts for the 7 times table. 50 Club – multiplication and division facts for 8 times table. 60 Club – multiplication and division facts for the 9 and 11 times tables. 70 Club – multiplication and division facts for the 12 times tables. 80 Club – multiplication and division facts for all times tables up to 12×12. 90 Club – multiplying and dividing decimals by 10, BIDMAS and square numbers. 100 Club – fractions and percentages of amounts, multiplying and dividing by 100 and 1000 and algebraic equations. 110 Club – multiplication and division facts for all times tables up to 12×12…and then subtract from 100! Approved sources for great times tables practice!